Many of us walk to get from one place to the next. We feel pressured to move ahead, to arrive at the destination as soon as possible. But in the practice of walking meditation, we go for a stroll. We have no destination in mind. The purpose of walking meditation is walking meditation itself. 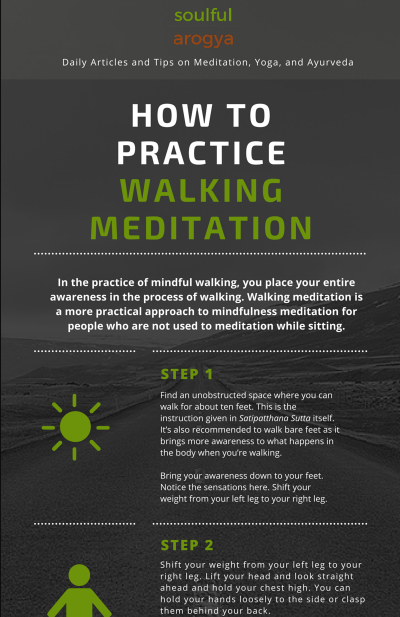 This infographic by Soulful Arogya reveals how you can master the practice of walking meditation.